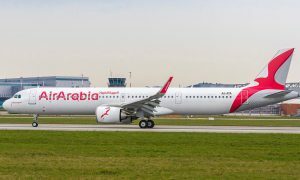 Air Arabia announced the launch of non-stop service to Al Jouf, one of the compelling tourist destinations in the Kingdom of Saudi Arabia defined by a diverse natural environment, cultural landmarks and historic sites. 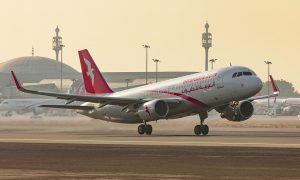 Al Jouf is the 11th destination of Air Arabia in the Kingdom. The scheduled flights will operate weekly on Wednesdays and Sundays from October 26, 2014. The flights will depart from Sharjah International Airport at 14.50 PM (UAE time) and arrive in Al Jouf (AJF) at 16.50 PM (KSA time). The return flight form Al Jouf is at 17.30 PM (KSA time), arriving in Sharjah at 20.50 PM (UAE time). 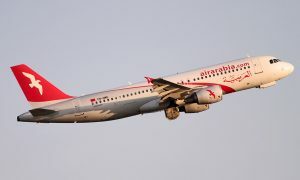 Air Arabia currently connects to 10 other destinations in the Kingdom directly. 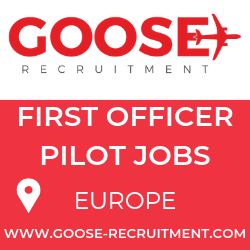 These include: Abha, Dammam, Gassim, Hail, Hofuf, Jeddah, Medinah, Riyadh, Taif and Yanbu. Over 100 weekly non-stop flights of Air Arabia operate to Saudi Arabia from the carriers hubs in Sharjah, Ras Al Khaimah and Alexandria. Located in the north of Saudi Arabia, Al Jouf is renowned for its olive gardens and cultural landmarks. The historic Ze’bel Fort, Omar bin Al-Khattab Mosque with a high-rise minaret and Kaf Village are popular sites in addition to Sakaka City, the administrative centre, which is regarded as the ‘northern gate of Saudi Arabia.’ Visitors can also explore the golden dunes of the Nufud Desert or the captivating beauty of the countryside. The Hurrat Al Hurrah Reserve is home to a range of migratory birds which gather here as they fly from the north to the south. Food-lovers will relish the truffles that are indigenous to the region.